On May Day 1975, rumors were flying. The New York State Training School For Girls (GTS) was scheduled to close its doors at the end of March 1976. Less than 12 months were left to organize if the facility was to remain open. Jobs were at risk. Local merchants were concerned about a loss of business. Adding to general worries, some people felt that the GTS would be boarded up as early as September, in only five months time. A letter writing campaign ensued. Through a Save Our School (SOS) committee, employees of the GTS gathered 300 letters of support from merchants and residents at a local shopping center. The Hudson Lion’s Club beseeched that the school’s closing would be a “critical economic disaster.” Folks from the Home for the Aged stuffed envelopes. Local politicians joined the fray. Lane’s missives came only a few months after a January 1975 Assembly research report concluded that the buildings at the Hudson Training School were good, all beds were filled, more beds would be needed, the facility was operating efficiently, and any transfer of girls would jeopardize existing programs. 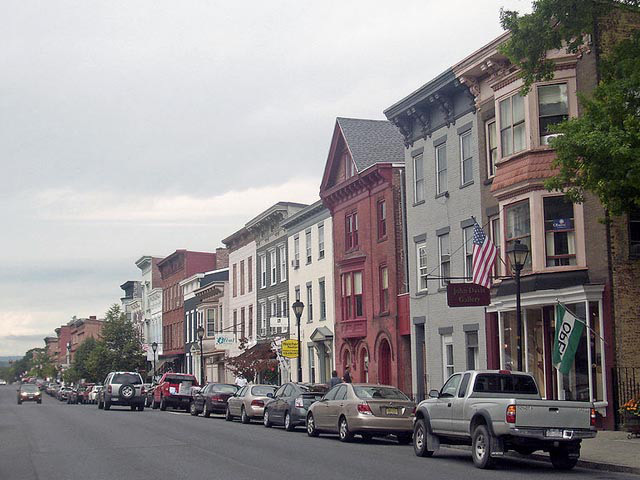 In this context, he offered a supplemental budget amendment for $970,000 to keep the school open for the benefit of Hudson as well as the State. Citizen rallies – and more letters — followed. The Register Star urged fraternal, civic, religious, and governmental organizations “to bring their flags and banners to (a May 15) rally, a visual demonstration of the numbers and diversity of training school supporters.” Two thousand residents signed a letter and 20 organizations, ranging from the Society to Promote Our Unique Town (SPROUT) to the NAACP, sent a group letter to Lt. Gov. Krupsak supporting the GTS. On May 15, 1975, Silver Dollar Day found 125 GTS employees cashing their paychecks and attending a rally at the Seventh Street Park, where Father Ian and Caroline Mitchell sang folk songs. The Seventh Street Park rally was actually short of expectations, but 200-250 were reported in attendance. Moreover, Assemblyman Lane was optimistic about the school remaining open. Plus, former Superintendent Tunney had written Assemblyman Richard Gottfried, who chaired the Assembly’s committee on childcare. Assemblyman Gottfried visited the school and was enthusiastic. In coming months, more letters were sent, more people signed their signatures approving the school, more trips were made to Albany, and Lt. Gov. Krupsak, stressing that she would conduct an “extensive survey of the Hudson situation,” continued to show support for the school’s remaining open. Several research studies – one from the new School of Criminal Justice at the University of Albany – supported the school’s programming and the community’s diverse support. In early June 1975, New York State officials proposed 100 new beds for GTS girls at Tryon and Highland Schools. The state still hoped to save $2 million. Difficulties with the facility’s heating plant. The Lt. Gov. recommended that funding be delayed for six months while an interdepartmental study assessed the situation. In mid-June, Lt. Gov. Krupsak made a one-hour visit to the school. A state Interdepartmental Committee on Youth was set up to reevaluate the Hudson situation. In July 1975, the NYS Department of Corrections started feasibility studies on converting the facility to an academy for training correctional officers. Other possibilities included an industrial park and a housing estate. By mid-August, things were decidedly up in the air. “At this time,” reported GTS Superintendent Dolecal, “it’s definitely indefinite. I don’t know what’s going to happen.” In all likelihood, he noted, the majority of the girls at the school would be sent home to New York City. Some would be sent to other facilities. 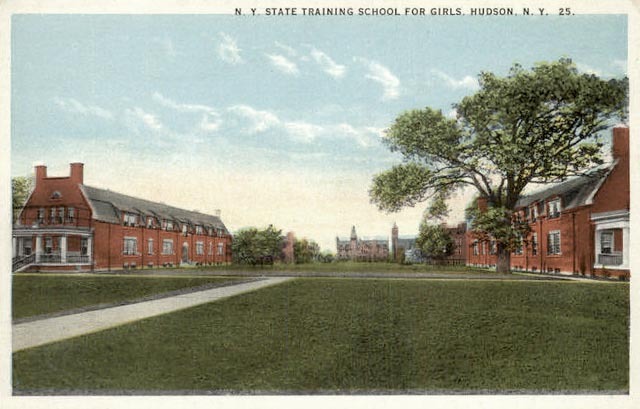 On August 18, 1975, the New York State Training School for Girls at Hudson officially closed.